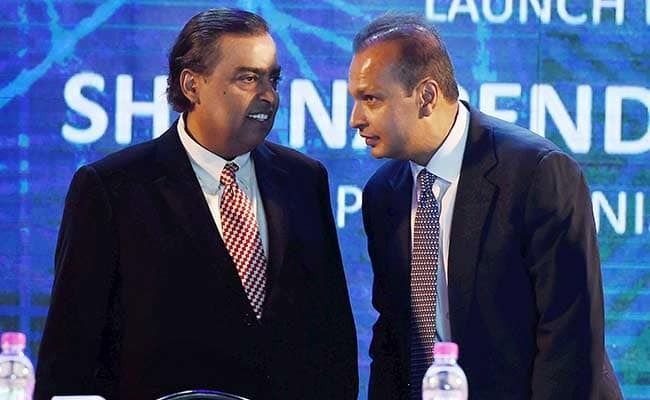 Mukesh Ambani, who is richest man has helped his younger brother, Anil Ambani avert a stint in jail, walking in to make an $800 million payment for his sibling Anil whose telecom-to-infrastructure empire is struggling under the weight of debt. The embattled past billionaire, Anil Ambani, thanked his brother Mukesh, after Reliance Communication Ltd. Completed the required Rs 5.5 billion ($80 million) for past maintenance services to the local unit of Ericsson AB. Repeated failures to pay and Ambani’s personal assurance landed him in distress in February, with the top court giving him a month’s notice to comply or spend time in prison. After they fixed up the conglomerate, his older brother’s oil and petrochemicals business flourished, while his businesses ranging from power to telecom & infrastructure strained under huge debt, with the tycoon fending off creditors in multiple court cases. The top court of India had last month ordered Anil Ambani and the two directors of RCom to pay Ericsson Rs. 4.5 billion within four weeks or face a three-month jail term of contempt of court. RCom’s share rose as much as 10 percent to Rs. 4.4, in their biggest daily percent gain since February 26. 19 March, the court had set as the last to make the payment and if the money was not paid, had the threatened to send the suspect to jail. As per the Economic times report, the Swedish company moved a bankruptcy court against Reliance, and alleging it had not been paid dues of around Rs. 1,500 crores, in 2017. After this case was reached the Supreme court, Reliance Communications given two deadlines to repay dues, but the company missed both deadlines. on February 1st, Company had that it would file for bankruptcy through the National Company Law Tribunal after failing to sell assets to pay debt of around Rs. 45,000 crores. Reliance communication had planned to sell spectrum to Mukesh Ambani’s Reliance Jio, but it did not appear. It had hoped to sell its assets to Jio and some other companies in a bid to pare its responsibility.